Coach Flowe Adds Four to PLSFC Women Staff | Philadelphia Lone Star F.C. PHILADELPHIA, Pa. – First-year head coach Charlie Flowe has announced the addition of four new members to the Philadelphia Lone Star FC Women’s Team coaching staff for our inaugural 2019 WPSL season. Kathleen ‘Kathe’ DeLitta (assistant coach), Kris Anderson (assistant coach), John Discriscio (assistant coach) and Sean A. Matteo (goalkeeping coach) will join the staff on the sidelines this summer. Kathe has coached soccer the last 16 years in the South Jersey area. She started as the Youth Development Trainer for an all-girls club, the Hamilton Wildcats, where she spent her youth playing days. After coaching and training numerous club teams, she took over the women’s Head Coach position for Rowan College at Burlington County in the 2012 fall season. Since her time there, she has earned a United Soccer Coaches Team Ehtics Award and coached six GSAC Women Athletes of the Year, 11 United Soccer Coaches All-North East Region team players, 23 first and second team All-GSAC players, and three All-Region XIX Players of the Year. During her seven seasons at RCBC, she has won two GSAC Championships, one Region XIX Championship, and one Region XIX runner-up. Kathe also worked with NextGen USA for five years and is currently a professional coach for the Rancocas Valley United Premier 2003 girls’ team and trainer for the RVSC 2011 Pixies. She holds an Advanced National Diploma as well as Special Topic Diplomas in Coaching the Mental game, Systems of Play, Nutritional Demands of College Players, and Technical Development of the Player, Coaches Management, and a Goal Keeper Level 1. She also holds a BA in Management with a concentration in Leadership and is the Athletic Specialist for Rowan College at Burlington County. Anderson is a former college coach at both Rutgers University-Camden, where he was the program’s head coach, and Arcadia University, where he spent six seasons as the women’s soccer assistant coach. Anderson has a wealth of soccer experience, both as a coach and a player. After playing four years of scholastic soccer – his first two at Willingboro High School and his last two at Lenape – he played collegiate soccer at one of the NJAC’s powerhouse programs, Stockton Universtiy (formerly Richard Stockton College). A center back and marking back with the Ospreys, Anderson played two seasons for Stockton before injuries and his work schedule forced him out of the collegiate game. Anderson graduated from Stockton in 1998 as a Public Health major, with a concentration in Health Care Administration. He was offered a professional contract with the Eastern Shore Sharks of the USISL, but turned it down and started coaching and training soccer players in South Jersey in 1999. His Youth coaching resume is extensive and boasts some of the best teams and players within the state and region. His previous youth soccer teams have included a four-time state semifinalist, a two-time state finalist and a regional quarterfinals. Anderson has been a personal trainer for numerous State ODP (Olympic Development Program) players, several regional ODP players and a pair of national ODP players. His former players have played at all divisions of NCAA soccer, including one who has won a pair of national titles at the University of North Carolina, and another who currently plays professionally in the NWSL, for Sky Blue FC. DiCriscio is currently the Head Women’s Soccer Coach of the Montgomery County Community College Mustangs after serving 5 years as Varsity Head Girl’s Soccer Coach at Mercy Career and Technical high school. DiCriscio brings over 15 years of coaching experience and holds numerous certifications including a United Soccer Coaches National level and Goalkeeping level 3 Diploma. He currently resides with his family in Roxborough, PA.
Matteo is a former Rutgers University Goalkeeper currently playing for Phoenix SC in the United Soccer League of Pennsylvania. He currently serves as the assistant coach and goalkeeper coach for Buena High School’s Boys Soccer team and as a Trainer for Diamond Soccer. He previously was the Head Coach of Pitman High School’s Girls Soccer team. Matteo holds a Goalkeeper Level 1 Diploma from United Soccer Coaches and the 11 v 11 Diploma from US Soccer along with various other licenses from both organizations. 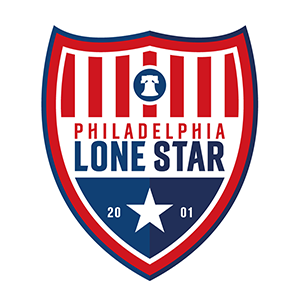 Meanwhile, Philadelphia Lone Star FC Women will be hosting a second round of tryouts on Saturday, March 9 at the South Philadelphia Super Site. The first tryout, in December, was a success with nearly 30 players in attendance. The coaching staff will be announcing player signings in the coming days and weeks as the Stars prepare for their inaugural season in the Mid-Atlantic Conference of the Women’s Premier Soccer League’s Colonial Division.